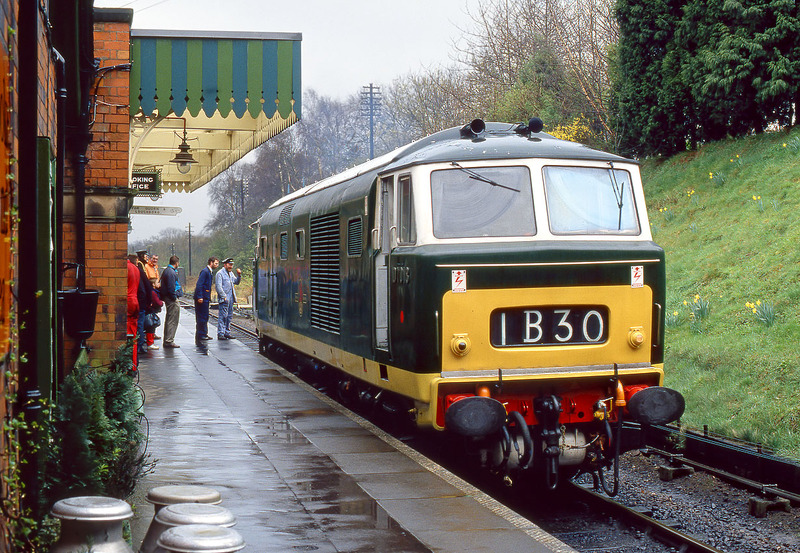 Conversation piece in the rain at Rothley on 25 March 1994. D7018 was visiting the Great Central Railway as part of the line's Diesel Gala. This was the loco's second visit to a Diesel Gala during the month of March, as at the beginning of the month it had left its base a the West Somerset Railway, to travel to the Mid Hants Railway, for their Diesel Gala.